The Samsung Galaxy A5 (2016) came out in December 2015 to much acclaim and it is getting to the time when the phone is due for a refresh. 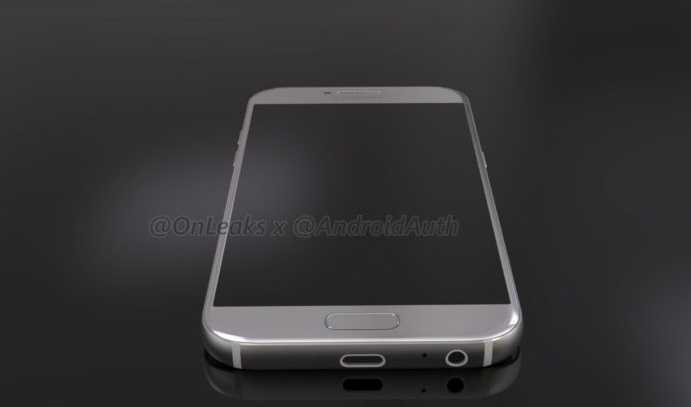 The 2017 edition of the Samsung Galaxy A5 has just been spotted online in leaked renders and videos. The Samsung Galaxy A5 (2017) first made an appearance on the benchmark tests back in August, and it seemed to confirm Samsung’s intentions to retain the lineup. The South Korean manufacturer has been coming out with yearly updates for the mid-range devices. This policy has worked out extremely well with Samsung now enjoying incredible market share in the segment across the world. 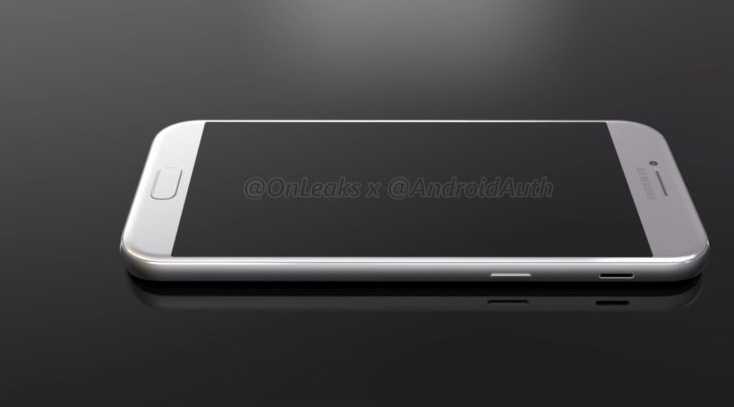 According to Android Authority, leaked specifications of the device have revealed that the Samsung Galaxy A5 (2017) will have a 5.2 inch display with the phone coming in at 145 x 71 x 7.8 mm in terms of dimensions. This represents a half millimeter increase in terms of thickness over the 2016 edition. There is an increasing trend amongst recent smartphones to focus more on battery life while also eliminating any camera hump in the rear. The additional thickness on the 2017 model is expected to be utilized in terms of more battery capacity. The Samsung Galaxy A5 (2016) offered a 2900 mAh battery which made excellent battery life due to its smaller screen size. It is rumored that the Samsung Galaxy A5 (2017) will have a slightly larger 3000 mAh battery, although the improved battery life will hardly be noticeable in real-world. The predecessor employed a Exynos 7580 Octa core processor in certain regions or a snapdragon 615 processor in the North American markets. The Samsung Galaxy A5 (2017) will use a slightly faster and more efficient Exynos 7880 in the place of the former. RAM offered on the device is also expected to go up slightly from 2 GB to 3 GB. Samsung has increasingly concentrated on making their devices look and feel premium. This has resulted in phones offering a glass sandwich construction and the Samsung Galaxy A5 (2017) also follows this philosophy. The rear of the device is made up of glass just as on the front, but the metal edges provide a premium element to the product. The Samsung Galaxy A5 (2017) is expected to be available in the next couple of weeks just like its predecessor. The phone will come with android 6.0 out of the box with a possibility of getting Android Nougat in the future.